Where? The Bond Co., Fazeley Street – come to reception and they’ll show you which room we’re in. NB: Wheelchair accessibility for this month’s Salon is less good due to room availability. If this affects you please get in touch with us ASAP so we can have any conversations that need having and do what we can to make sure you can still take part as fully as possible. Our Guest Speakers for the September Salon are Davy and Kristin McGuire. Winners of The Oxford Samuel Beckett Theatre Trust Award 2013, Davy & Kristin McGuire‘s work has included theatre productions such as The Icebook and the atmospheric stage adaptation of popular fantasy novel, Howl’s Moving Castle. Their latest award winning theatre show The Paper Architect premiered in July 2013 at the Barbican London and received the Helpmann Award for Best Visual Theatre Production after touring Australia in 2015. Davy’s background is in theatre and film whereas Kristin has trained as a dancer who has performed with many international companies including Cirque du Soleil, she is currently a dancer with the Mark Bruce Company. 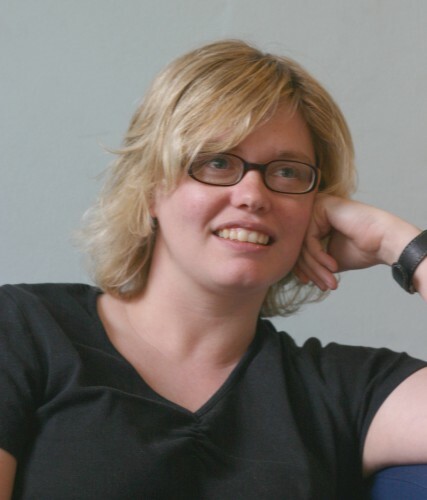 Our September Salon is co-curated with Sarah Ellis, Head of Digital Development, RSC. As such we’ll have more of a focus on theatre and performance, but still in the context of interdisciplinary practice. A core part of the Salons is giving people a chance to talk about, demo and ask questions of the projects they’re working on at the moment. That means you? How can a room full of curious, intelligent people help you move forward? Confirmed so far are Sophie and Anna who, as One Five West, will be displaying and discussing some of their work, seeking feedback ahead of a residency they’ll be doing. Get in touch and let us know if you’d like to harness the power of a many and varied audience to feed into your work.